LAS VEGAS (December 18, 2017) – Aristocrat’s game-changing RELM™ cabinet is a hit with players and operators across North America, and now the fun steps up to a big new level in Aristocrat’s new RELM XLLM cabinet. RELM XL is the latest culmination of a dream design team that combines the strengths of Aristocrat and VGT. Built from the ground up with a perfect combination of Aristocrat’s mathematical prowess and VGT’s reel-spinner expertise, the RELM XL cabinet provides players a classic slot feel. Standing an impressive nine and a half feet tall, RELM XL features an eye-catching mechanical wheel topper. RELM XL drives innovation with a unique 43” J-Curved monitor with full touchscreen capabilities, large classic reel symbols, traditional wheel plex, stereo sound, and vibrant LED edge lighting. RELM XL games are featured in a 3 or 5 mechanical reel set configuration for high, middle, and low denomination placements, and features an industry first with bulging reel sets. And to add to the retro playing experience, RELM XL houses a physical bell that celebrates big wins. RELM XL charges into casinos with two new games in the incredibly successful Buffalo™ franchise: Buffalo Thundering 7’s™ and Buffalo Inferno™. Buffalo Thundering 7’s thrills players with a lower hit frequency and higher volatility as well as traditional 7s, bars, multipliers, large symbols and a plex wheel for an incredible big screen stepper experience. Buffalo Thundering 7’s and Buffalo Inferno are available now. Coming soon is Britney Spears™ One More Time™, a reel-spinner edition of the popular Britney Spears™ video slot. TULSA, Okla. (December 15, 2017) – James W. from Oklahoma was celebrating his birthday with friends at Lucky Star Casino in Clinton, Okla. when he won nearly $1 million playing VGT’s $uper Hit$ Jackpot$™ progressive. James was playing VGT’s popular Smooth as Silk® game when he won the birthday present of his life – a jackpot of $916,408.19! $uper Hit$ Jackpot$ is a 3-reel mechanical wide area progressive appearing on top of player-favorite VGT game titles and has a starting jackpot of $250,000. This year alone, players have won more than $5,000,000 playing $uper Hit$ Jackpot$. The $uper Hit$ Jackpot$ progressive is available for play at casinos across North America and is available for installation in all North American Class II jurisdictions. Check out the current jackpot level and find where to play at superhitsjackpots.com, and follow VGT on Facebook. LAS VEGAS, Dec. 6, 2017 /PRNewswire/ -- NYX Gaming Group Limited (TSXV: NYX) ("NYX") and Scientific Games Corporation (NASDAQ: SGMS) ("Scientific Games") announced today that two new parties have entered into independent agreements to support the previously announced acquisition of NYX by Scientific Games for CAD $2.40 per ordinary share (the "Acquisition"): (1) William Hill Steeplechase Limited and William Hill Plc (together, "William Hill"); and (2) AlpInvest Partners CoInvestments. These two holders in aggregate own 9,301,709 ordinary shares of NYX, 2,325,427 warrants, and 149,600 Convertible Preference Shares of NYX Digital Gaming (OB Holdings) Limited, a subsidiary of NYX, that are convertible into an aggregate of approximately 40,930,184 ordinary shares of NYX as of December 6, 2017. In addition, William Hill has undertaken to withdraw its previously issued notice of conversion of its Convertible Preference Shares into NYX ordinary shares. Shareholders of NYX should have recently received a scheme circular and forms of proxy or voting instruction forms (white and blue) for NYX's court and general shareholders meetings to be held on December 20, 2017. If shareholders have any questions about any of the information or require assistance in completing the forms of proxy or voting instruction forms, as the case may be, please contact our information and proxy solicitation agent, D.F. King, toll free in North America at 1-800-761-6707 (1-212-771-1133 by collect call) or by email at inquiries@dfking.com. LAS VEGAS (December 7, 2017) – Aristocrat Technologies (Aristocrat) has completed the acquisition of the complete source code and hardware design for a promotional kiosk solution developed by Phi Gaming, LLC. Additionally, the two parties entered into a development agreement to further acceleration of Aristocrat’s Oasis 360™ Loyalty Kiosk. The agreement extends Aristocrat’s digital content and advanced marketing solutions within its multiple award-winning Oasis 360™ casino management system portfolio. Aristocrat chose Phi Gaming because of its penchant for service and delivery of quality innovative products. Like the Oasis 360 system, Phi Gaming’s platform is built on open architecture, giving the Oasis 360 system unrivaled flexibility to integrate into casino management systems of any property’s choosing. Aristocrat’s Oasis Loyalty Kiosk is HTML5-based, sleek, modern, and affords casino operators the flexibility to offer virtual or physical drawings, swipe and win promotions, earn and get promotions, sports pick ‘ems, event pick ‘ems, customizable HTML5 games, wayfinding, digital advertising and static promotions. The Oasis Loyalty Kiosk stands out in the marketplace with its flexibility, usability, and forward-thinking service capabilities. The solution is offered in a single point of failure proof LTE wireless or wired cloud-based configuration that eliminates the need for complex infrastructure and cabling. The cloud delivered or on-premise solution supports both single and multi-site operator configurations. For more information about the Oasis 360 system or any of Aristocrat’s industry-leading solutions, contact your Aristocrat representative or visit www.aristocrat-us.com and join Aristocrat on Facebook and Twitter. LONDON, U.K. – Dec. 5 2017 – International Game Technology PLC (“IGT”) (NYSE: IGT) today announced that it secured 35 percent gaming machine floor share at the newly opened Casino Luckia Arica in Chile. The installation is comprised of five different IGT cabinets – the AXXIS™ 23/23, the CrystalDual®, the CrystalSlant™, the OXYGEN™ and the award-winning S3000®. The IGT cabinets at Casino Luckia Arica feature a myriad of player-favorite IGT game themes such as Golden Eagle®, Party Time! ™ and the diversity™ HD multi-game suites. For more information, visit IGT or go to Facebook at facebook.com/IGT, follow us on Twitter, twitter.com/IGTnews or watch IGT videos on YouTube, youtube.com/igt. December 05, 2017 08:00 AM Eastern Standard Time LONDON & DUBLIN--(BUSINESS WIRE)--GAN plc (“GAN” or the “Company”), an award-winning developer and supplier of enterprise-level B2B Internet gaming software, services and online gaming content in the United States, today announced the release of quarterly key performance indicators1 for the third quarter of 2017. This allows the US and global institutional investment community to properly track progress of GAN’s diverse business on a quarterly basis.Over the past fifteen months, GAN has begun to increase its institutional outreach to the United States, where the Company conducts the predominant portion of its business activities. The expanded financial information flow supports the increasing number of suitably-qualified US institutional investors who engaged with GAN’s equity story in late 2016 and 2017 to date. This Quarterly publication discloses the Active Player-Days and Average Revenue Per Active Player-Day (ARPDAU), in which GAN participates worldwide in regulated real money Internet gaming markets and Simulated Gaming™.Key Performance Indicators for Q4 2017 and CY2017 will be released with GAN’s full year CY2017 financial results on or before March 31, 2018. The composition and nature of GAN’s Key Performance Indicators will be reviewed by the US-based CFO anticipated to join GAN in early 2018. Fifth successive Quarter of growth in Active Player-Days. +15.2% Quarter-on-Quarter growth in Active Player-Days in Q3 2017 over Q2 2017 to 2,996,914 Active Player-Days. 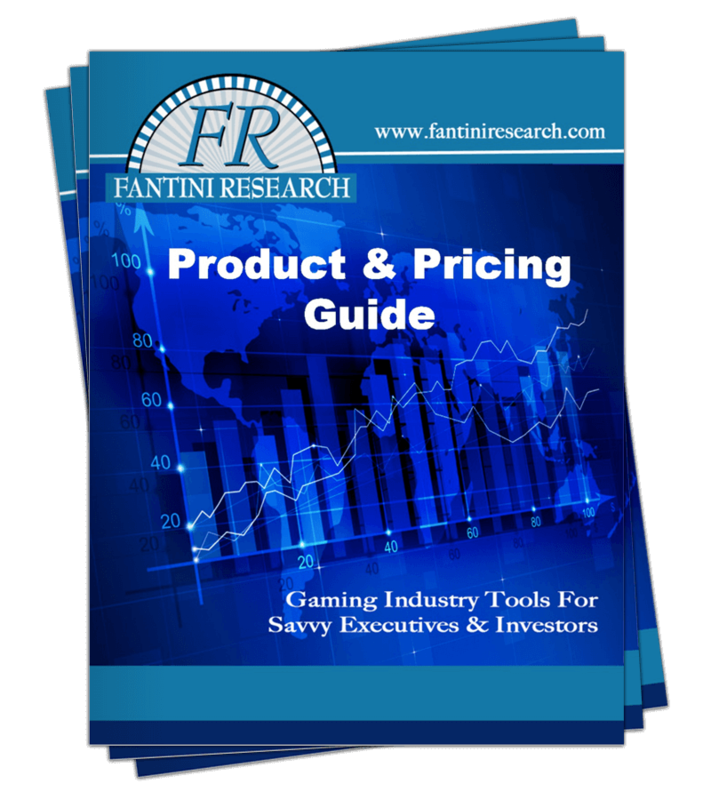 -8.9% Quarter-on-Quarter decline in Average Revenue Per Daily Active User in Q3 2017 over Q2 2017 to $6.36 reflecting strong growth in higher-margin Simulated Gaming which proved modestly dilutive to ARPDAU across the enterprise. Aristocrat’s new Mighty Cash™ Class III Series towers above the competition. That’s because this fun group of games hits the floor in Aristocrat’s new Helix Tower™ as well as the popular Helix+ cabinets. The Helix Tower features the innovative game design and same footprint of the Helix™ cabinet with the added excitement of an incredible 55” video topper and an integrated top box. In Mighty Cash, the excitement encompasses the entire bank using Aristocrat’s new 55” banked monitor as a horizontal wheel across all EGMs in the bank. An active shared huge Wheel experience, combined with the popular Hold-and-Spin feature, combined with the use of Cash symbols, make Mighty Cash a perfect fit for any casino floor. Mighty Cash comes to the casino floor with the title Long Teng Hi Xiao™ and its two base games: Dragon Flies™ and Tiger Roars™. Each game has fun Features including Free Games with unlimited retriggers; and the Mighty Cash Hold-and-Spin feature that awards players with credits and/or jackpots. Player selectable multi-denom options and built-in four-level standalone jackpots add to the fun. The Mighty Cash family has a deep portfolio. Soon to be released is the title Nu Xia, a follow up to the popular Long Teng Hu Xiao family. This title includes two base games; Red Blade and Green Blade. Next will be Mighty Cash Big Money. Its features include the Mighty Cash Hold-and-Spin feature: Hold-and-spin feature, Mighty Cash Mystery Wheel that awards players with credit or jackpot; and the Mighty Cash Big Money Wheel that awards players with 2x/3x all Mighty Cash prizes or 2x/3x with an additional Linked Progressive Jackpot. Contact your Aristocrat Sales Representative today at (702) 270-1000. LAS VEGAS and ATLANTA – December 4, 2017 – Scientific Games Corporation (NASDAQ:SGMS) today announced that Lotterie Nazionali S.r.l., a joint venture, the exclusive manager of Gratta e Vinci, the Italian Scratch and Win concession owned by Scientific Games, IGT subsidiary Lottomatica Holding, and Arianna 2001, has accepted a nine-year contract extension for the Italian Scratch and Win concession. The acceptance follows a communication received from the Italian regulator Agenzia delle Dogane e dei Monopoli regarding the extension of the Italian Scratch & Win concession through September 30, 2028, in application of the Law Decree n. 148/2017 recently converted into law. Lotterie Nazionali S.r.l. is required to pay an upfront fee of €800 million in three installments. The first installment of €50 million will be paid by December 15, 2017; payments of the second installment of €300 million and third installment of €450 million are expected to be made in April 2018 and October 2018, respectively. The payments are expected to be funded by the joint venture partners and pro-rated based on their respective ownership percentage. All other conditions will be the same as the original concession. Scientific Games owns a 20 percent interest in Lotterie Nazionali S.r.l., the world’s largest instant ticket lottery, and continues to serve as the primary instant game provider for the term of the extension. LONDON, Dec. 4, 2017 /PRNewswire/ -- International Game Technology PLC ("IGT") (NYSE:IGT) today announced that Lotterie Nazionali S.r.l., a joint venture which is the exclusive manager of Scratch & Win in Italy and owned 64% by IGT subsidiary Lottomatica Holding, and directly and indirectly owned 20% by Scientific Games Corporation and 16% by Arianna 2001, has accepted a nine-year contract extension for the Italian Scratch & Win concession. LAS VEGAS (November 30, 2017) – Ainsworth Game Technology today announced the appointment of Deron Hunsberger as Senior Vice President of Sales and Marketing – North America. Mr. Hunsberger has more than 25 years’ experience in the global gaming industry, including having held senior leadership roles at WMS Gaming, Shuffle Master and Aristocrat. Most recently he served as Senior Vice President of Sales – Americas for Scientific Games. Mr. Hunsberger will be based in Ainsworth’s North American headquarters in Las Vegas. He will be responsible for leading all aspects of the Company’s sales, marketing and service efforts. NEW YORK, Nov. 29, 2017 /PRNewswire/ -- Inspired Entertainment, Inc. ("Inspired") (NASDAQ: INSE) today announces key contracts and deployments in its UK and European Virtuals business. Inspired's Virtual Sports are now live in circa. 1,000 GoldBet retail venues in Italy. One dedicated broadcast channel will show a mixed schedule of trotting and horse races from Inspired, while a second channel showing Inspired's Platinum Football will be launched in early 2018. Inspired's premium Rush Football 2® Virtual Sports product, already live over the counter in over 4,000 OPAP lottery venues, has now launched on Self Service Betting Terminals in 500 OPAP venues, rising to 800 by the end of the 2017. Following Betfred's recent 5 year SBG contract extension and award of over 1,000 additional SBG terminals, previously operated by a competing supplier to Inspired, the UK's largest independent bookmaker has also extended its existing Virtual Sports agreement with Inspired, which will involve the supply of two new channels of Virtual Sports content to its betting shop estate. Enhanced new Horses (2 furlong race) and Greyhounds (Rush Dogs 2™) products, along with traditional Horses, Dogs, and Bingo are now available to Betfred customers, with a race from Inspired being delivered every minute via Inspired's in-venue viewer technology. Inspired has upgraded its suite of Virtual Sports offerings across William Hill's retail estate. The upgrade also sees the introduction of new premium products including Rush Sprints 2™ and Rush Dogs 2™. 49's Limited (owned by a consortium of leading UK operators) has launched newly upgraded virtual horse racing products from Inspired including all new Portman Park, Steepledowns, and Sprint Valley tracks, which have been ever present in all UK LBO's since 2001. Paddy Power will exclusively launch a new Virtual Cricket product from Inspired to over 50 retail venues in December 2017. The launch will coincide with the 2017/18 Ashes series and become the fulcrum of the Paddy Power dedicated mixed Virtual Sports channel. Inspired's agreement to supply Virtual Sports products to Romanian operator Superbet on both retail and digital channels has been extended to 2020. Inspired's premium Rush Football 2® is now live with BetArena (part of the SuperBet group) in 40 retail locations, rising to 200 in the near future. Inspired's latest Virtual Sports products have launched in Eurobet retail venues with one channel dedicated to Inspired's market-leading Matchday™ and Platinum Football products. Inspired has been shortlisted for 3 prestigious SBC Awards, the results of which will announced on December 5th 2017. Shortlistings include Inspired's Virtual Grand National for Best Virtual Sports Product, Matchday™ Italy for Best Virtual Football Product, and Rush Horses Go!™ for Best Sports Themed Slot/Game. 'We're seeing fantastic momentum in our European Virtual Sports business, as more operators extend existing contracts and new customers become aware of the revenue driving potential of these ultra realistic, accessible entertainment products,' said Steve Rogers, Chief Commercial Officer, Digital Games, Inspired. 'Our portfolio of games is constantly growing as we upgrade existing popular sports, develop new variants to suit specific markets, and add new sports into the mix following our continued market research programme. We pride ourselves on being the top supplier of Virtual Sports in the industry, with our products live in over 40,000 venues. These recent successes in both the UK and across Europe are testament to that fact,' he added. NEW YORK, Nov. 27, 2017 /PRNewswire/ -- Inspired Entertainment, Inc. ("Inspired") (NASDAQ: INSE) today announced that its Virtual Sports products have received approval from the New Jersey Division of Gaming Enforcement (DGE) and are now the first and only Virtual Sports products available in the State. "We are extremely pleased with this key milestone for our business" said Inspired President and Chief Executive Officer Luke Alvarez. "We launched in Nevada late in 2016; we signed our first US lottery contract for Virtual Sports early in 2017; and in October at G2E we announced our new 1st Down Football product, which we expect to launch in 2018. Going live in New Jersey is a major next step in the expansion of our business into North America." "We are thrilled to have achieved this important step in our North American strategy," said Inspired Executive Chairman Lorne Weil. Mr. Weil continued, "New Jersey will serve as an important showcase for our Virtual Sports products, as additional states seek to bring this exciting offering to market." "Virtual Sports betting is now available in New Jersey – online – and we're delighted to be the first (and only) player in the industry to offer this in North America," said Lucy Buckley, Inspired's Vice President of Interactive. Ms. Buckley continued, "Our premium products have demonstrated an ability to drive incremental revenues for our customers globally, and we believe the launch of Virtual Sports will have an even greater impact in a market that does not offer wagering products for sports fans." Ms. Buckley concluded, "Based on over a decade of experience, we are confident that Virtual Sports will appeal to both current casino players and a new audience that are not currently customers of New Jersey's casinos. Furthermore, we believe Virtual Sports will be an essential acquisition tool and companion products for the potential addition of live sports betting in New Jersey and beyond." Five of Inspired's award-winning Virtual Sports including Horses, Greyhounds, Soccer, Motor Racing and Speedway (Motorcycles) are now available for online and mobile distribution in New Jersey, with more sports expected to become available in 2018. Inspired's partners in New Jersey include Caesars, Resorts, Golden Nugget, Rush Street, Bwin Borgata, Betfair, and Pala Interactive. Inspired is a global games technology company, supplying Virtual Sports, Mobile Gaming and Server Based gaming systems with associated terminals and digital content to regulated lottery, betting and gaming operators around the world. Inspired currently operates more than 32,000 digital gaming terminals and supplies its Virtual Sports products in more than 35,000 venues and on over 100 websites in 30 countries. Inspired employs over 800 employees in the UK and elsewhere, developing and operating digital games and networks. LAS VEGAS, Nov. 21, 2017 /PRNewswire/ -- Scientific Games Corporation (Nasdaq: SGMS) ("Scientific Games") today announced that it acquired ownership of 11,600,000 ordinary shares (the "Acquired Shares") of NYX Gaming Group Limited (TSXV: NYX) ("NYX"), representing approximately 10.72% of the issued and outstanding ordinary shares of NYX (the "Ordinary Shares"). The Acquired Shares were purchased through the facilities of the TSX Venture Exchange at prices ranging from CAD$2.22 to CAD$2.35 per share, representing an aggregate purchase price of CAD$27,054,565. Prior to the transaction, Scientific Games did not own, directly or indirectly, any Ordinary Shares. As announced earlier today, Scientific Games and NYX entered into a first amendment dated November 21, 2017 (the "Amendment") to the arrangement agreement dated September 20, 2017 between Scientific Games and NYX (the "Arrangement Agreement"). Under the Amendment, Scientific Games and NYX have agreed that should the acquisition of NYX by Scientific Games (the "Acquisition") not be approved by shareholders of NYX at the shareholder vote in December or not move forward for other specified reasons, Scientific Games will make a contractual takeover offer to NYX shareholders (the "Takeover Offer") for the same share price contained in the Arrangement Agreement. This reaffirms the companies' commitment to move forward together. In addition, earlier today NYX agreed to waive the existing standstill with Scientific Games contained in the agreement between Scientific Games and NYX so that Scientific Games and its affiliates could purchase any ordinary, preferred or other equity securities of NYX or any of its subsidiaries. In the future, Scientific Games may acquire additional Ordinary Shares pursuant to the Acquisition, the Takeover Offer, market or private purchases or any other means. However, Scientific Games may from time to time also dispose of securities of NYX. This press release is being issued pursuant to the requirements of National Instrument 62-103 –The Early Warning System and Related Take-Over Bid and Insider Reporting Issues of the Canadian Securities Administrators. An early warning report with additional information in respect of the foregoing matters will be filed and available on the SEDAR profile of NYX at www.sedar.com. LAS VEGAS and ATLANTA, Nov. 16, 2017 /PRNewswire/ -- Scientific Games Corporation (NASDAQ: SGMS) ("Scientific Games" or the "Company") today announced the successful launch of its most advanced, flexible, next-generation gaming system for Danske Spil (the "Lottery") in Denmark. Scientific Games implemented the new gaming systems technology for the Danish Lottery after winning the competitively bid gaming systems contract from an incumbent supplier. The conversion from the Lottery's legacy system to the new system went live earlier this year, supporting Danske Spil's multi-channel environment which integrates sales across a network of 3,200-retailers, including 5,000 supermarket in-lane point-of-sales, as well as mobile and internet. Susanne Mørch Koch, Chief Executive Officer, Danske Spil, said, "We knew that we were looking for a flexible, channel-agnostic system for our Lottery. Our strategy for the lottery market is aggressive and progressive, and a new system is a core part of that strategy. We need our technology platforms to be scalable, so that we can ramp up or down and add hardware components that would not require replacing the entire system. This has been a must-have requirement for our new lottery solution." New York, November 15, 2017 - Inspired Entertainment, Inc. (“Inspired”) (NASDAQ: INSE) today announces that it will supply an additional 1,400 VLTs to OPAP in Q1 2018. To date, Inspired has supplied 3,960 cabinets to OPAP, with over 2,200 machines now operating as part of OPAP’s continued deployment of VLTs into its retail network. The additional 1,400 cabinets will bring the total number of Inspired machines in OPAP’s network to 5,360. New York, November 15, 2017 - Inspired Entertainment, Inc. (“Inspired”) (NASDAQ: INSE) today announces a strategic partnership with Novomatic. In the first ever agreement of its kind, Inspired announces that it is collaborating with Novomatic, one of the largest gaming technology companies in the world, to carry Novomatic’s content on Inspired’s platform to deliver a market-specific product combination to the leading Greek betting and lottery operator, OPAP. Novomatic games, including Book of Ra Deluxe, Dolphin's Pearl Deluxe, Sizzling Hot Deluxe, Lucky Lady's Charm Deluxe, are now live in Greece via Inspired’s Core Connect platform, with Roaring Forties soon to become available. All games have been certified by the Hellenic Gaming Commission for deployment to Inspired VLTs in OPAP venues across Greece. ‘Novomatic is excited to be a part of this landmark deal, which will deliver a unique and compelling product combination to the Greek market,’ said Thomas Graf, Novomatic. ‘We look forward to further expanding our portfolio of available games with Inspired and to a successful business relationship with Inspired and OPAP,’ he added. New York, November 14, 2017 - Inspired Entertainment, Inc. (“Inspired”) (NASDAQ: INSE) today announces that its premium Football Matchday product is now live in Italy with Eurobet. Inspired’s Virtual Sports will feature on dedicated channels in Eurobet retail venues with one channel solely showing to Football Matchday and Platinum Football. New Virtual Sports products from Inspired will be promoted by Eurobet through new bonus offers and system bets. Specifically designed for the Italian market, Football Matchday offers an exciting and unique league concept to players. Featuring eight matches in ultra-realistic HD graphics, all games can be followed and bet on simultaneously. In addition to the main screen action, Football Matchday includes a ‘picture in picture’ window showing goals from non-feature matches, ensuring that players don’t miss any action. ‘I’m delighted to announce that Inspired’s premium Matchday product is now live with Eurobet,’ said Paolo Scipioni, General Manager Italy, Inspired. ‘Eurobet’s dedicated promotion of Inspired’s product range is testament to the growing popularity of Virtual Sports in Italy, and I have no doubt that new Football Matchday will only add to this success - placing accumulator bets and following live score updates has never been so entertaining and easy,’ he added. LONDON, U.K. – Nov. 13, 2017 – IGT has signed a one-year extension agreement with the Iowa Lottery to continue providing instant tickets and related services through December 31, 2018, following the expiration of IGT’s current extension with the Lottery. IGT will continue to provide a comprehensive range of instant ticket services for the Iowa Lottery under the agreement, including game planning and marketing, research and analytics, graphics support, and the production and printing of instant tickets. IGT has been a print vendor for the Iowa Lottery since 2013. 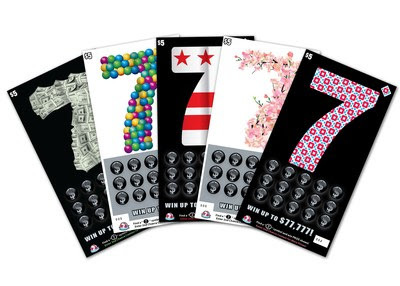 During this time, IGT and the Lottery have worked together to launch several successful tickets including $2 Triple 777, $5 Ghostbusters™, and $10 Easy Money. Today, lottery proceeds in Iowa have three main purposes. They provide support for veterans and their families through the Iowa Veterans Trust Fund; help for a variety of significant projects through the state General Fund; and backing for the Vision Iowa program, which was implemented to create tourism destinations and community attractions in the state and build and repair schools. LONDON, U.K. – Nov. 10, 2017 – International Game Technology PLC (“IGT”) (NYSE: IGT) announced that Marzia Mastrogiacomo, Senior Vice President, Lotteries, for IGT subsidiary, Lottomatica, has been inducted into the Lottery Industry Hall of Fame as a member of the Class of 2017. Mastrogiacomo was honored at the induction ceremony, which took place during Public Gaming Research Institute’s (PGRI) Lottery Expo on Oct. 26, in Atlanta, Georgia. The Lottery Industry Hall of Fame was founded by the PGRI in 2005 as a means of honoring those who have done the most to make the lottery industry the great success that it is today. The recipients of this award are all a credit to the industry and join a select and distinguished group of world lottery professionals. Membership is reserved for lottery professionals who have promoted excellence and integrity throughout their careers. Each year, former inductees nominate and vote on the final recipients. In her current role, Mastrogiacomo is responsible for Lottomatica’s strategy, development, operations, and marketing for the Lotto and instant ticket businesses in Italy. From 2007 – 2012, Mastrogiacomo was Business Manager for Gratta e Vinci, and, subsequent to that, she served as Business Manager for the Italian Lotto game, Gioco del Lotto. Prior to Lottomatica, she was Director of Strategic Marketing and Business Development for retail market services at Poste Italiane (Italian Post) S.p.A. From 2000 to 2003, she served as Head of Marketing in Italy and later as Marketing Director, Europe for Diners Club – Citigroup. Mastrogiacomo began her career at Procter & Gamble serving in various positions in the Marketing and Market Research departments. She holds a degree in Statistical and Actuarial Sciences from La Sapienza University in Rome. Achievement Includes Improved Climate Change Program ScoreLONDON, Nov. 7, 2017 /PRNewswire/ -- International Game Technology PLC ("IGT") (NYSE:IGT) has been recognized by the CDP (formerly the Carbon Disclosure Project) 2017 Climate Change Program for its commitment and actions in fighting climate change. The Company obtained a score of A-, placing IGT in the Leadership Band and improving its 2016 score of B. In 2017, CDP increased the requirements necessary for corporations to receive Leadership status, making the program more competitive than in previous years. IGT's A- score demonstrates the effectiveness of IGT's sustainability initiatives, and confirms that the Company's efforts are in line with the Paris Agreement goals set in 2015 to limit global warming. While a Management score indicates that a company is taking coordinated action on climate change issues, a Leadership score shows that a company has implemented current best practices. "This recognition, in addition to our improved score, demonstrates IGT's commitment to continuous improvement, and is especially significant given that CDP has made its requirements more stringent," said Robert K. Vincent, IGT Executive Vice President, Administrative Services and External Relations. "At the same time that we're celebrating this achievement, we are continuing to seek more ways to reduce emissions and energy consumption across our global business." It maintained its Environmental Management Systems in accordance with the ISO 14001 global standard. Reporting on the environmental impact of its business performance in a transparent manner. CDP is an independent, non-profit organization that manages a global disclosure system for companies to manage their environmental impacts, and for investors to access environmental information for use in financial decisions. According to the CDP, disclosure has never been more important, and action starts with transparency. IGT voluntarily participates in the program. LONDON – Nov. 6, 2017 – International Game Technology PLC (“IGT”) (NYSE: IGT) will exhibit a diverse portfolio of new games, cabinets and award-winning mobile solutions for Latin America at SAGSE Buenos Aires, Nov. 7-9 at the Costa Salguero Convention Center. The innovations within IGT’s stand 206 will speak to the Company’s commitment to developing and delivering market-relevant gaming solutions, and to leveraging innovation and technology to engage players across multiple platforms. · The CrystalCurve™ cabinet. IGT will showcase its CrystalCurve cabinet with standout for-sale titles such as the Wild Fury Jackpots™ and Star Rise™ games. The CrystalCurve cabinet features a 43-inch, curved ultra-HD display that delivers pristine graphics and an immersive player experience. The Cabinet is supported by a robust library of games that have achieved “Proven Performer” status in the Company’s rigorous global test banking process. The hardware also houses standout Premium titles such as the Fort Knox®Video Slots and Harley-Davidson™ Video Slots games. · Internationally celebrated multi-level progressives. IGT will showcase its internationally celebrated theme Sphinx Riches™ on the AXXIS® 23/23 cabinet. The five-level progressive will be demonstrated with three of its base games: Hathor, Seshat and Ahotep. IGT will also showcase the Fu Gui Ji Li® and Rong Hua Fu Gui™ multi-level progressive games on the CrystalDual® cabinet. · PlaySpot™ mobile wagering technology. IGT’s award-winning PlaySpot solution is a versatile mobile technology that enables players to enjoy a variety of casino games such as sports betting, Keno and electronic table games on a mobile device while within designated areas of a casino resort. · Award-winning Cardless Connect™ technology. Recently named “Land-based Product of the Year,” in the 2017 Global Gaming Awards, Cardless Connect enables players to use their mobile phone for a variety of actions such as carding in and out of a slot machine, and initiating the transfer of funds to and from a slot machine. · “Proven Performer” titles on the CrystalDual® cabinet. IGT will demonstrate a variety of games on the CrystalDual cabinet that have excelled in the Company’s global test banking process and have earned “Proven Performer” status. Portfolio highlights include the Big 5 Safari®, Elephant King®, Golden Egypt™ and Ocean Magic™ games. · Skill-based Video Reel Edge™ (VRE) games: IGT will feature two of its VRE games, Cleopatra® Pinball and Texas Tea® Pinball on the CrystalCore® cabinet. Both games offer players a traditional slots base game and then the choice of a free-games bonus, or skill-based bonus round where they can play a game of pinball and their performance influences their bonus reward. Other product highlights within IGT’s SAGSE stand will include the diversity™ HD suites 3 and 5, the Super Red Hot Jackpots™ game on the S3000® cabinet, and new TRUE 3D™ game titles on the AXXIS 3D™ cabinet. 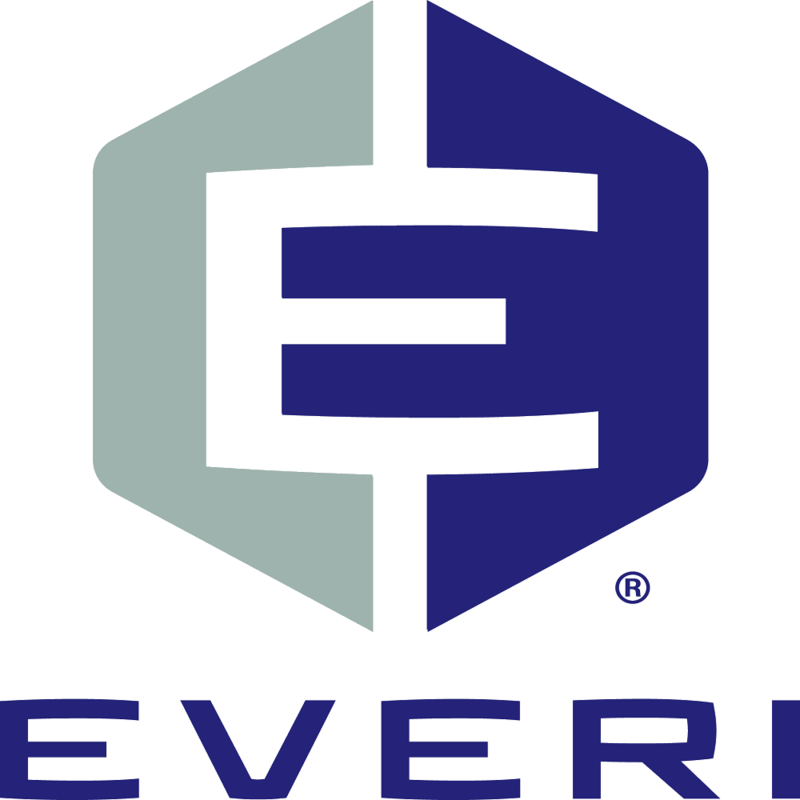 LAS VEGAS, Nov. 06, 2017 (GLOBE NEWSWIRE) -- Everi Holdings Inc. (NYSE:EVRI) (“Everi” or the “Company”), the casino gaming industry’s single source provider of gaming products and payments solutions, announced today the debut of the revolutionary new Everi Cares™ Giving Module following the recent successful completion of a 30-day beta trial at a Las Vegas casino. Designed to make social consciousness a convenient priority on the casino floor at the time of a kiosk-based voucher redemption, Everi Cares Giving Module allows players to easily donate funds to fully vetted charities and enables casinos to give back to their communities, enhance their own corporate responsibility programs, and better engage with players looking to donate to charities. Everi Cares Giving Module provides an opportunity for players redeeming a gaming voucher at an Everi full service kiosk to donate all or part of their ticket to select charities. Casino operators are also positioned to benefit in their operations and community relations when implementing the Everi Cares Giving Module in their full-service kiosk footprint. Operationally, it helps reduce the amount of abandoned vouchers and lowers coin handling expenses by pushing coin redemption awards towards charitable donations and, potentially, eliminating the need for coins on the casino floor. In addition, it helps casinos in their community relations programs as it increases the profile of local charities in the eyes of players, creates an initial player-charity relationship, builds community awareness for casinos and appeals to the generosity of the millennial generation. LAS VEGAS and ATLANTA – November 1, 2017 – Scientific Games Corporation (NASDAQ: SGMS) (“Scientific Games” or the “Company”) today announced the successful launch of its latest generation, omni-channel lottery gaming system for the Atlantic Lottery (“the Lottery”) in Canada. The new system from Scientific Games is now “live”, supporting traditional lottery retail sales, as well as mobile and internet gaming sales in the provinces of New Brunswick, Nova Scotia, Newfoundland and Labrador, and Prince Edward Island. Supporting draw games, digital instant games, iBingo and sports wagers, the system features the Company’s secure, cross-platform Player Account Management system which allows Atlantic Lottery players to purchase lottery products through a unified experience with one wallet. Scientific Games’ AEGIS® gaming system and Sciplay™ iLottery platform are key components of the technology involved, allowing seamless integration of Scientific Games content and third-party content. The Lottery’s second-chance ticket entry program was re-launched as part of the project, along with a new digital instant game program featuring electronic scratch games played via mobile and internet. An all new draw game, Daily Grand, was also developed and launched.